You would think that Rory McIlroy would take a different view about learning the Rules of Golf after being penalized two strokes for violations at the Abu Dhabi HSBC Golf Championships that cost him possible wins in two of the past three years as he finished one stroke behind the eventual winners, Robert Rock and Pablo Larrazabal. In the third round of the 2014 event, McIlroy took relief from a spectator walkway on the second hole of the third round and dropped his ball. His foot was on the line defining the ground under repair, a violation of Rule 20-2c that requires a player to re-drop in such cases. Nothing was said at the time, but then Dave Renwick, the caddie for Ricardo Gonzales, who was playing with McIlroy, brought it up on the 18th green. While some criticized Renwick for waiting, I think it was the right thing to do, protecting the field and saving McIlroy from signing for a wrong score if something had been brought up later. While some other caddies questioned why Renwick got involved, he indicated that he felt like he did the right thing in waiting until the end of the round, and I have to agree. “If I could have stopped him before he hit, I would have,” Renwick added, noting he was 40 yards away. Rules officials reviewed the situation afterwards with McIlroy, going back to the spot to show where he stood to take the shot. Looking at where the divot was, it became clear that he had not taken complete relief. “I didn’t even realize my foot was on the line,” McIlroy said. “I guess I was so much into the shot that I didn’t even realize.” McIlroy added that the drop had actually given him a bad lie and he would have benefitted from dropping again. 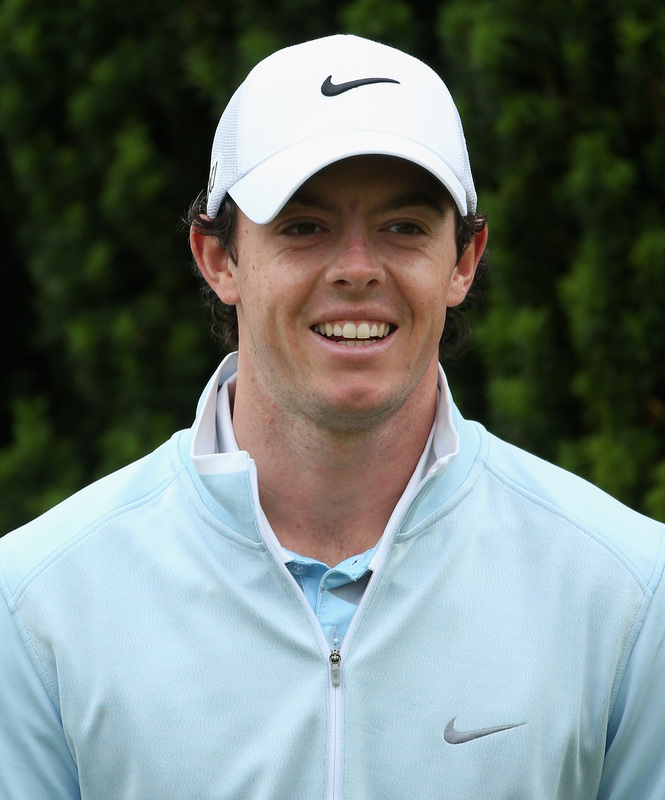 “There’s a lot of stupid rules and this is one of them,” McIlroy noted. If McIlroy is not going to take a little time to do it himself, maybe he should have his caddy handle the assignment of learning more about the rules. Then his caddy could be the one reminding him when there is possibility of a possible rules violation. McIlroy brushed sand from the fringe of the green—sand or loose soil are only considered loose impediments when they are on the putting green–two years ago and also ended up losing by a stroke to Rock after the two-stroke penalty. This brings up an interesting question. How many rules are actually broken by players that don’t really know the finer points of the rules? Talking about taking relief, I am reminded of a situation that occurred in the Texas Open. A player’s ball ended up in casual water on a cart path, two separate conditions. He had to decide which option to do first. He opted to take relief from the water and dropped on the cart path, where the ball stayed. Then his options there would have meant a drop into bushes adjacent to the cart path or on a severe slope. So he played from the cart path instead. In a qualifying for the British Open at the Gleneagles Country Club in Plano, I recall seeing a professional hit his drive into a lateral hazard on the left side of the fairway. When taking his drop within two club lengths, there was cart path. He dropped the ball on the cart path and it stayed. Since he was left handed, his drop option then allowed him to drop on the flatter side of the cart path. If he had been right handed, he would have had to drop on the slope leading down to the water. There is also an exception to the rule when taking relief under the rules. If it would require the use of a clearly unreasonable stroke or an unnecessarily abnormal stance, no relief would be granted. Maybe the rules official at the Phoenix Waste Open should have used this exception when he instead gave Bubba Watson a free drop when his ball was obviously in a bush and he claimed his stance was in an animal hole. I recall where a player in the Texas Open found his drive lodged within an inch of a tree where he really had no way to hit it. However, he asked me for relief as there was a cart path that he would have to stand on if he used a long iron and switched to hitting it left handed. My answer, of course, was no relief. If he had been farther away from the tree and hitting it left handed back to the fairway was an option, he could have gotten relief if his stance was on the cart path. In fact, he could even switch back to hitting the ball right handed after the drop.